Sectional structure and additional shelf can be added. Deeper and taller shelving spaces to accommodate all kinds of audio components. 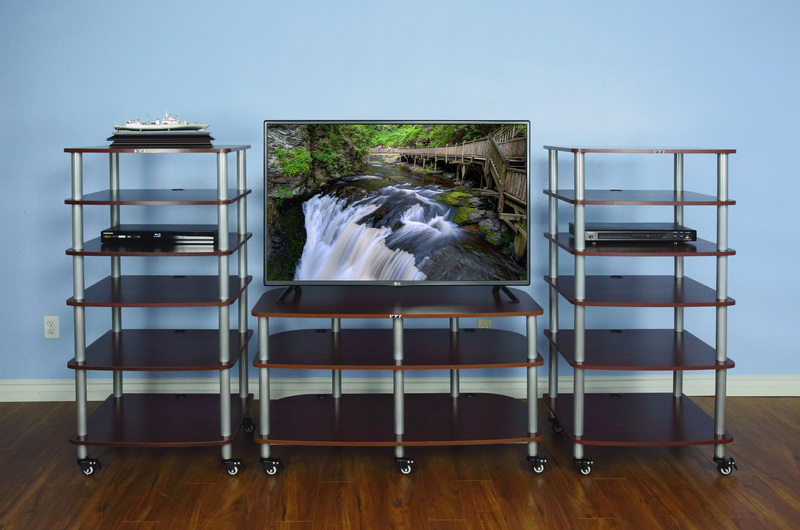 Equipped with casters for mobility or with adjustable spikes as an option. Pole color: available in Black or Gray Silver. Shelf color: available in Black or Cherry. Note: first letter at end of item number represents pole color. second letter represents shelf color.